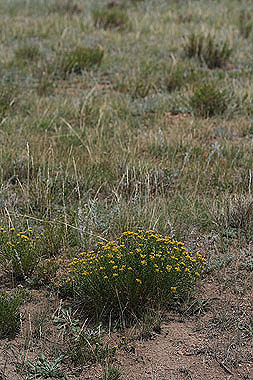 Chrysothamnus viscidiflorus grows on dry hillsides in the mountains. 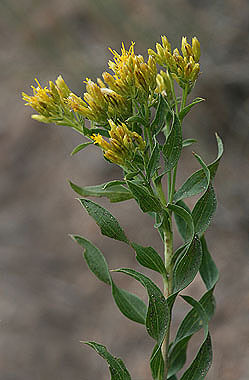 Shrubs are about 1 foot tall. Leaves are twisted and about 1/4-inch wide. 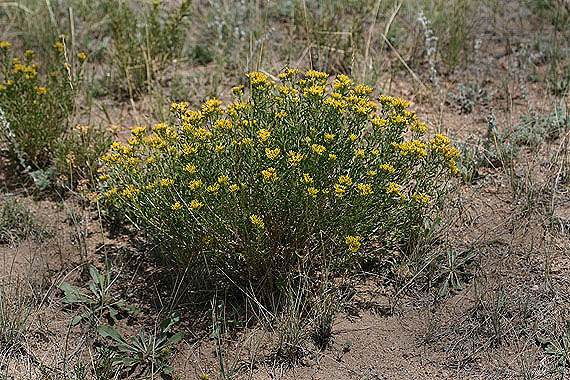 Compare to Chrysothamnus nauseosus, which is larger, has narrower leaves that are not twisted, and tends to grow at lower elevations.